I have always had many animals around me, such as dachshunds, rabbits, chickens, pigs, ponies etc. and possesses the necessary knowledge of them. I grew up in the Dutch Veluwse woods. My neighbor was Hunter and has involved me everywhere. 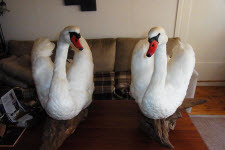 I have learned a lot from him about the animals in the natural life. I wanted to know everything what had to do with animals, it has always fascinated me. 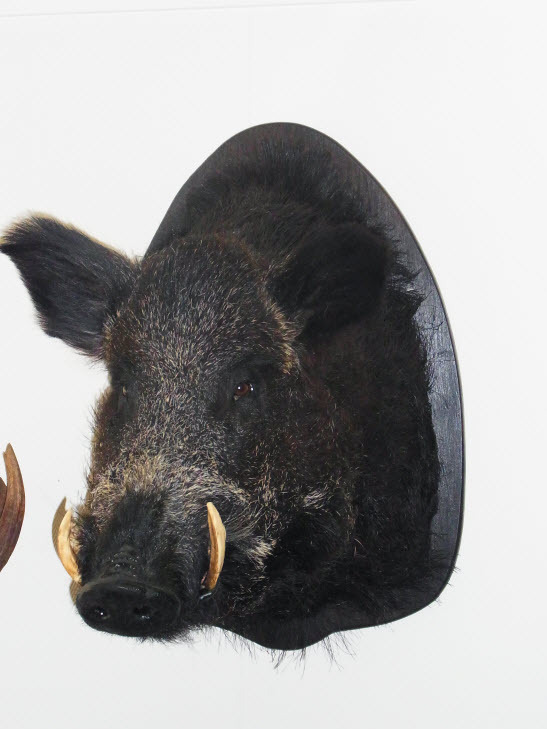 Short operating principles: The skin of the dead animal is poached and tanned through the latest techniques and will be wrapped around an artificial body. The artificial eyes that I use are of excellent quality and mostly of glass, which gives the animal a natural sight. Then the animal gets an appropriate surface. After drying of a few weeks the preparation is ready. 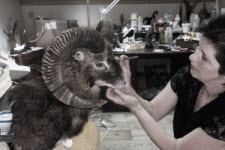 Training: I have followed the 2-year training for NVP basic taxidermist in Schaarsbergen. This training is particularly focused on the practice. Then I passed the diploma of Ministry of agriculture to prepare to protected animals. 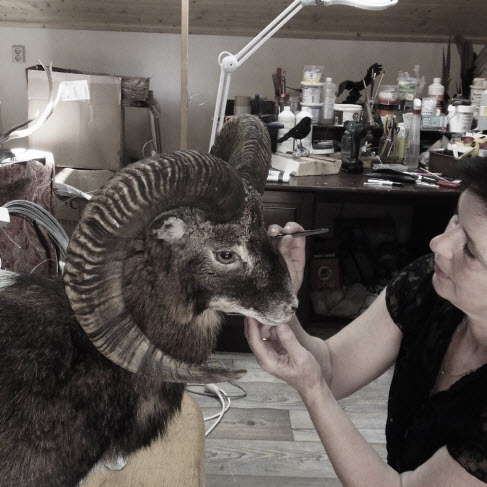 Member of the Dutch Association of Taxidermists.